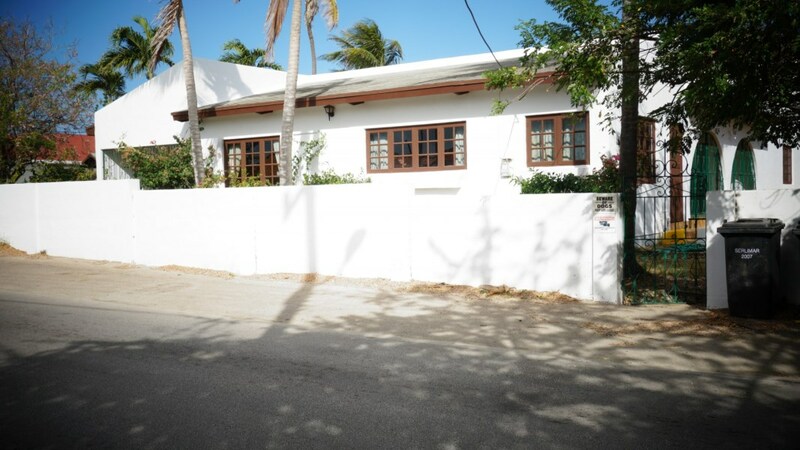 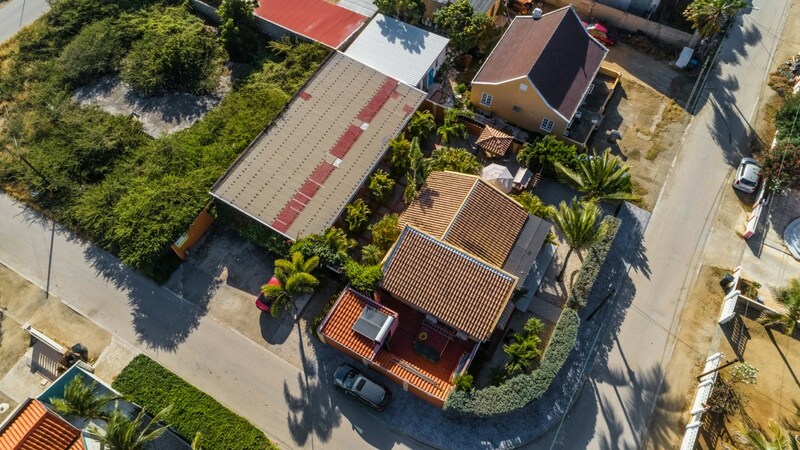 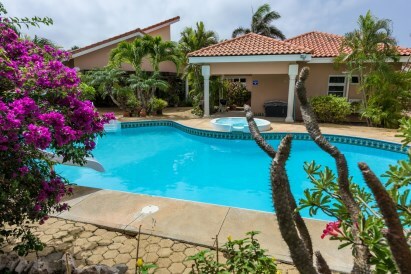 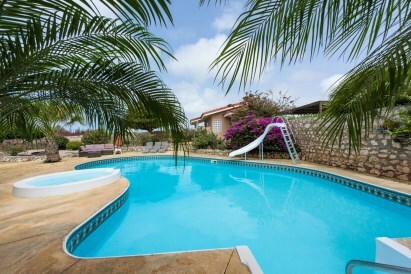 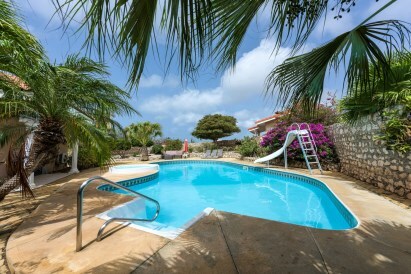 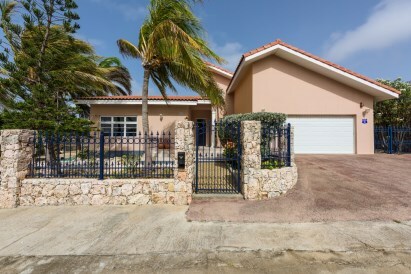 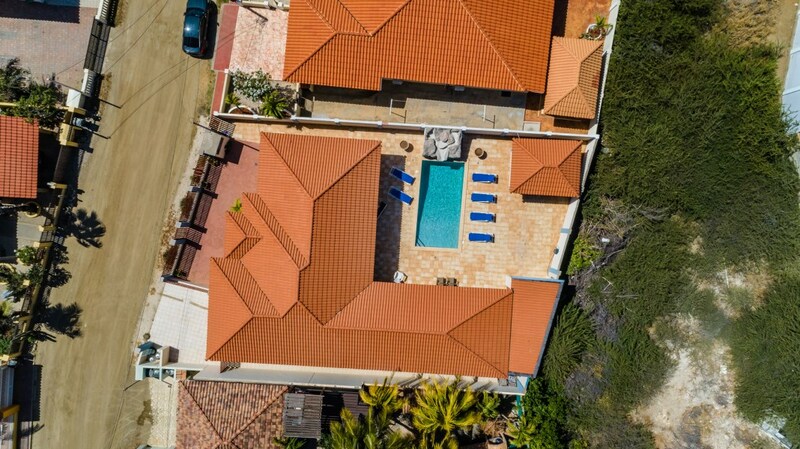 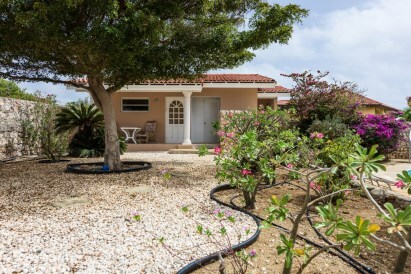 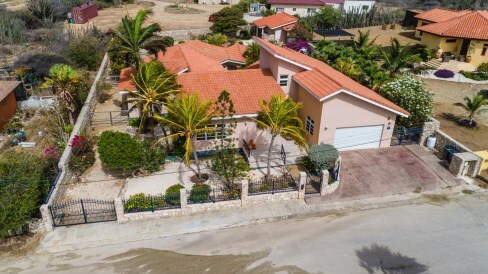 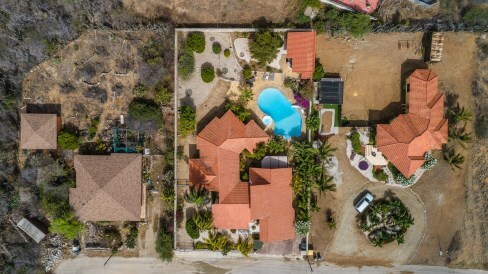 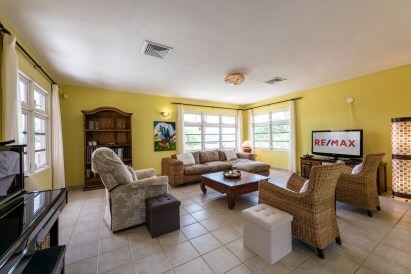 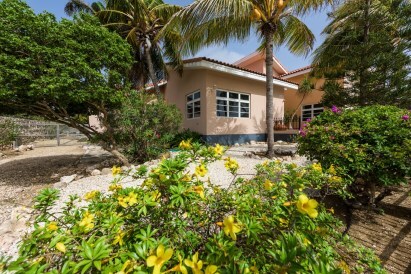 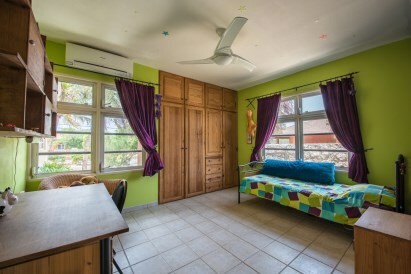 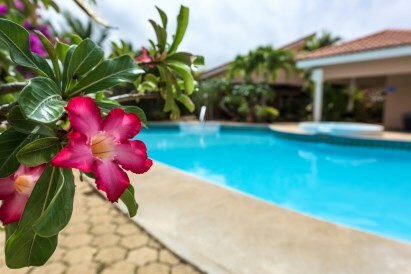 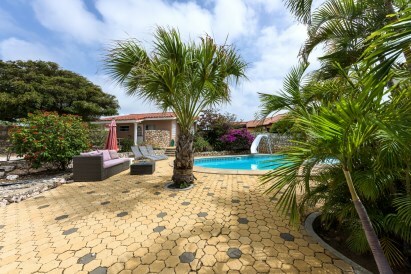 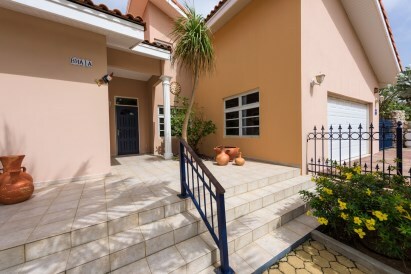 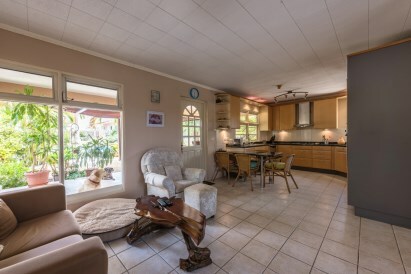 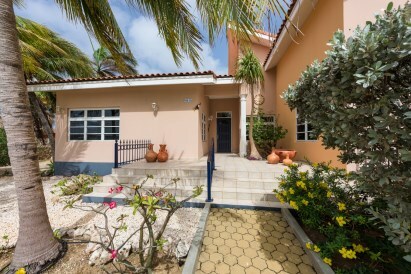 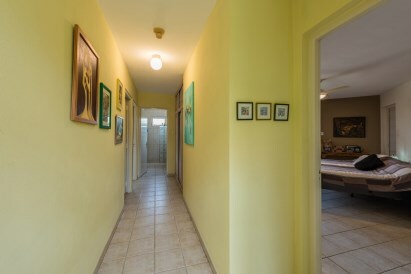 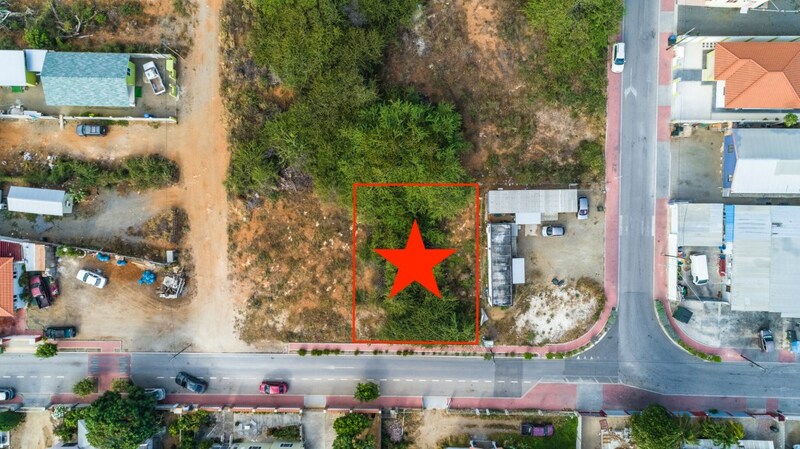 We are proud to present this very centrally located family home situated in Bringamosa, Santa Cruz, just 5 minutes from the airport and 10 minutes to the beach and the center of Oranjestad. 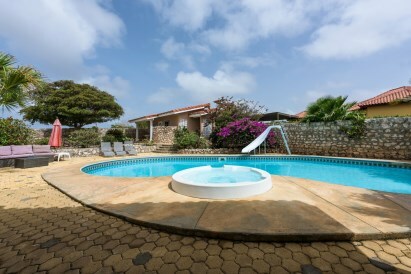 The villa has 5 bedrooms, 3 bathrooms, office, private pool with Jacuzzi and a studio apartment. 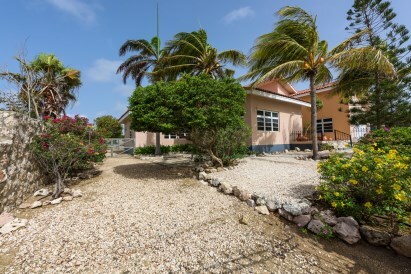 The property land measures 1499m2 in total and offers nice views and consistently good wind flow. 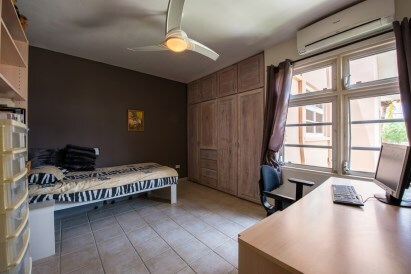 The constructed space measures approximately 349m2 with a separated 1 bedroom apartment of about 37m2. 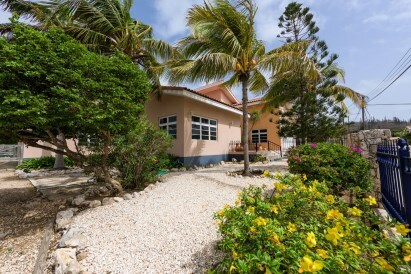 This beautiful villa has a perfect location and a great floor plan and is built with first class building materials. 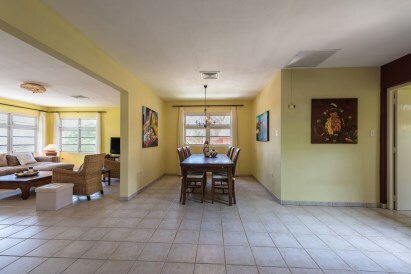 The villa has a spacious and light living room, a dining room and a large kitchen with lots of counter space, a work corner, plenty of cabinet space and a granite countertop. 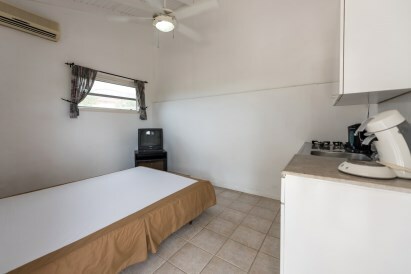 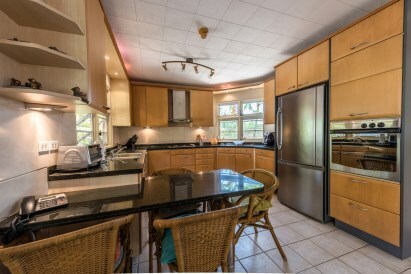 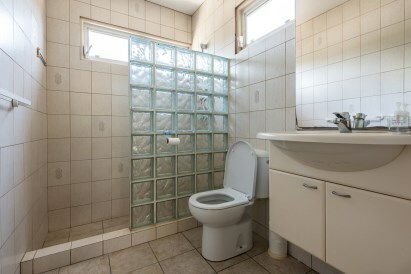 It is equipped with a breakfast table and stainless steel appliances. 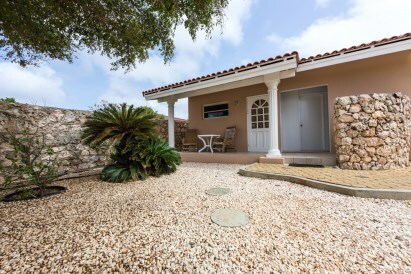 The villa has five spacious bedrooms. 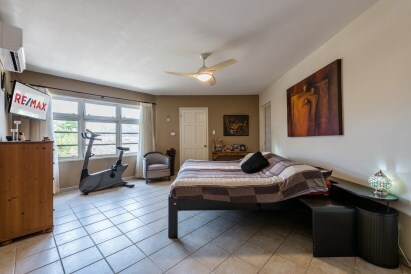 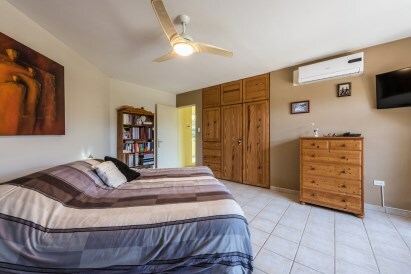 The master bedroom has a large walk-in closet and a private bathroom. 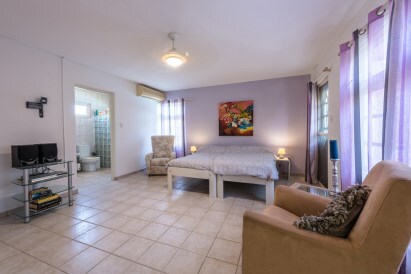 The second bedroom has a private bathroom and has acces to the terrace. 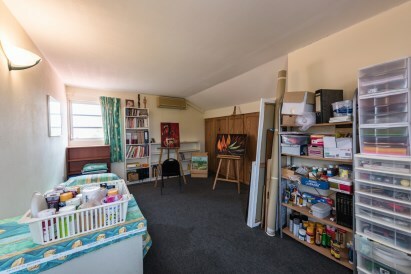 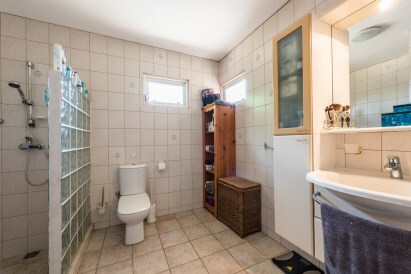 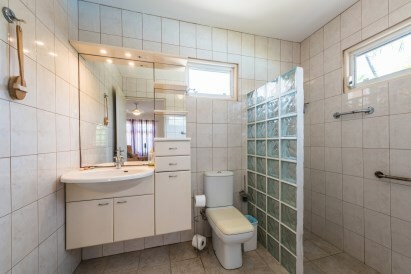 The two other bedrooms share a bathroom in between. 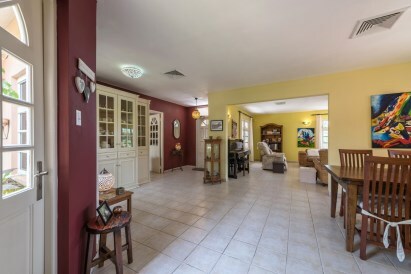 The back doors lead to the enormous covered porch. 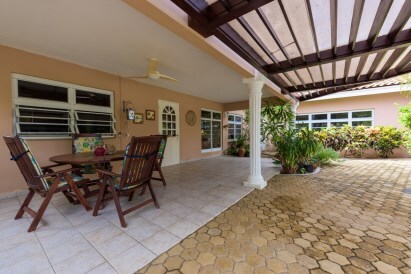 On the porch there is plenty of room for several seating areas and it has a wonderful pool with a separate Jacuzzi from which you can enjoy the views over the beautifully landscaped, well-kept garden. 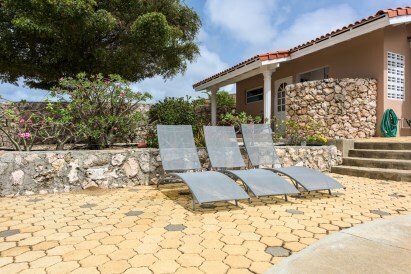 The completely fenced garden is completely fenced with "nature stone".